One of the great things about the Open Government Partnership is the principle that member countries are all on an equal footing, all have something to learn from each other and all share the goal of working to achieve more open governments worldwide. In other words, OGP is a community. 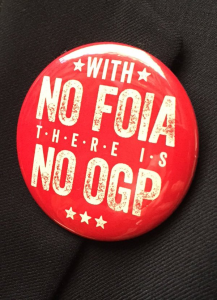 In the words of Francis Maude this morning, OGP is a “support network”. When one country makes strides forward, this is celebrated and helps others reflect on where they might do better. But equally, when one country looks like it may roll back on open government principles, this has an international impact. 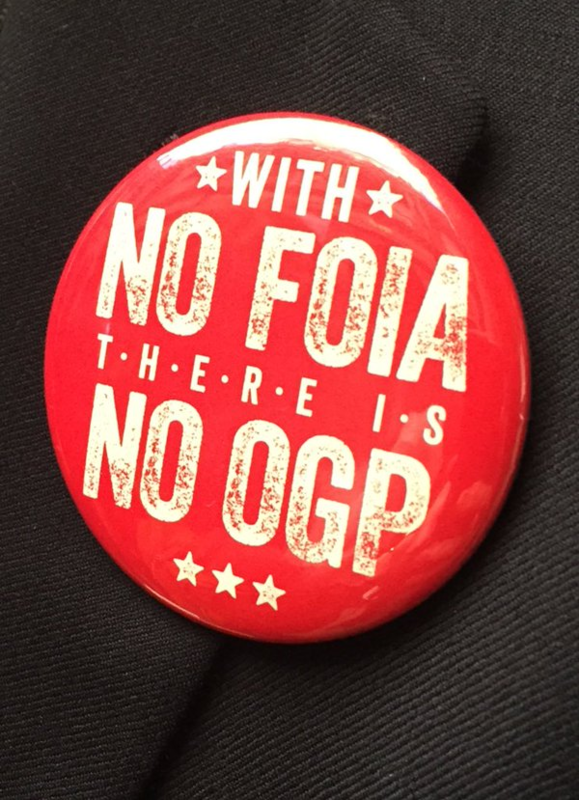 At an OGP Global Summit session yesterday on Freedom of Information and Open Data, one delegate from Israel commented that her country looks to the UK for leadership on FOI. As one of the founding members of OGP, and a country held up as the model for improving access to data, the UK is influential. As such, governments and civil society across the world are closely following the news about the UK’s Freedom of Information Commission, established to examine the scope of our FOIA. Whilst we wouldn’t want to pre-empt the findings of an independent commission which has not yet closed its call for evidence, there is widespread concern that this may result in the scope of the Act being narrowed. The principle of freedom of information is one of the fundamental pillars of open government. If the UK government does make a decision to restrict the FOI right of access, this sends a strong message not only to the UK reformers inside and outside government, but also to those member countries worldwide in our OGP community. The impact would be bigger than just the UK.